This is my spot. My Stamping spot. A place to share my creativity and love for all things stamped. 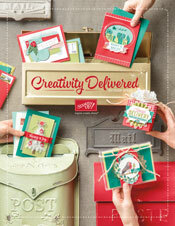 Cards, tags, scrapbook pages, inks, papers, stamp sets and lets not talk about embellishments. I can put it all here. Maybe I can even touch someone out there and make their day a little better along the way. 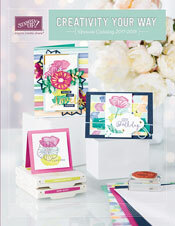 I am an Independent Demonstrator for Stampin'Up. I love their products. I am very excited to see this adventure take off. HAPPY NEW YEAR! Sale A Bration is HERE! HAPPY DECEMBER! LOTS OF GOODIES!